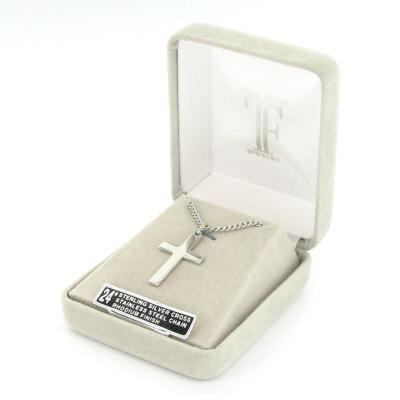 Product Description: This cross necklace has a beautiful high polished and satin finish. The Rhodium Finish will keep help maintain the quality finish for years to come. A perfect gift for the special man in your life. As all our quality jewelry it is delivered in a velour gift box.